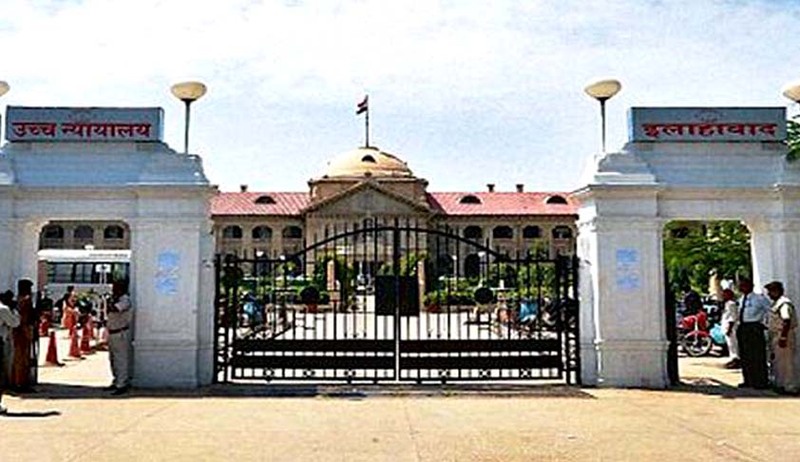 Allahabad High Court has held that, in view of the prohibition contained in Section 362 of the Code of Criminal Procedure even the High Court in exercise of its inherent power under Section 482 CrP.C has no authority or jurisdiction to alter/review a Judgment in a Criminal Case, after the Judgement is signed. Relying on the Supreme Court Judgment in Sooraj Devi Vs. Pyare Lal, 1981 (1) SCC 500, the Court held that the prohibition in Section 362 CrPC against the court altering or reviewing its judgment, is subject to what is “otherwise provided by this code or by any other law for the time being in force”. These words, however, refer to those provisions only where the Court has been expressly authorized by the code or other law to alter or review its judgement. The inherent power of the court is not contemplated by the saving provision contained in Section 362 CrPC and, therefore, the attempt to invoke that power can be of no avail. “Thus, the law on the issue can be summarized to the effect that the criminal justice delivery system does not clothe the court to add or delete any words, except to correct the clerical or arithmetical error as specifically been provided under the statute itself after pronouncement of the judgment as the Judge becomes functus officio. Any mistake or glaring omission is left to be corrected only by the appropriate forum in accordance with law (Refer State of Punjab Vs. Davinder Pal singh Bhullar, (2011) 14 SCC 770). The same principle is applicable while considering an application for recall /modification/review of an order passed under Section 482 Cr.P.C. The inherent power under Section 482 Cr.PC is intended to prevent the abuse of the process of the court and to secure the ends of justice. Such power, cannot be exercised to do something which is expressly barred under the code. If any consideration of the facts by way of review is not permissible under the Code and is expressly barred, it is not for the court to exercise its inherent power to reconsider the matter and record a conflicting decision. If there had been change in the circumstances of the case, it would be in order for the High Court to exercise its inherent powers in the prevailing circumstances and pass appropriate orders to secure the ends of justice or to prevent the abuse of the process of the court. Where there are no such changed circumstances and the decision has to be arrived at on the facts that existed as on the date of the earlier order, the exercise of the power to reconsider the same materials to arrive at different conclusion is in effect a view which is expressly barred under Section 362 CrPC”. Said the Court. “If a judgement has been pronounced without jurisdiction or in violation of principle of natural justice or where the order has been pronounced without giving an opportunity of being heard to a party affected by it or where an order was obtained by abuse of the process of court which would really amount to its being without jurisdiction, inherent powers can be exercised to recall such order for the reason that in such an eventuality the order becomes a nullity and the provisions of Section 362 Cr.P.C would not operate. In such an eventuality, the judgment is manifestly contrary to the audi alteram partem rule of natural justice. The power of recall is different from the power of altering/reviewing the judgment. However, the party seeking recall/alteration has to establish that it was not at fault” said the Court.